Hi everyone! I have some exciting news to share with you today. Catherine Pooler's Foundations Box that was recently launched and sold out in 15 hours will be back in stock real soon and ready for shipping next week! Just in time for you to purchase as a gift for a special loved one or even for yourself. WOOT!!!! She also has a great new Holiday wrap-up bundle. 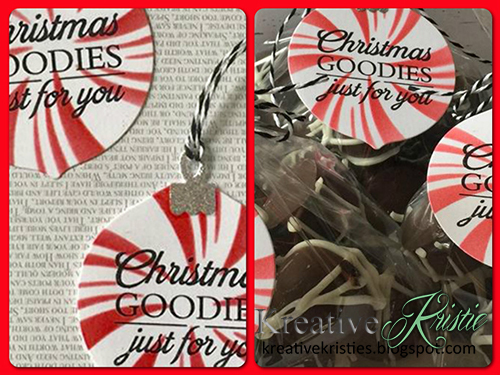 Perfect to finish up your holiday cards (inside and out) tags, and thank you notes for after the holiday craziness. 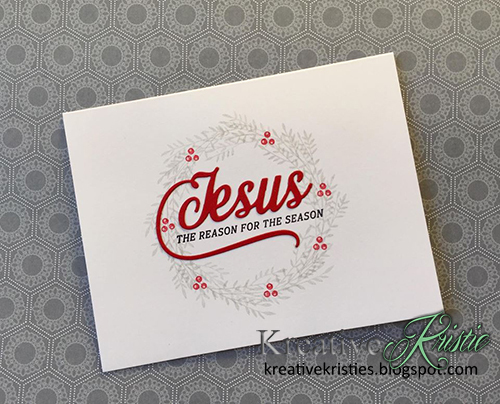 You can purchase each of the items individually or in a bundle at a discounted price. 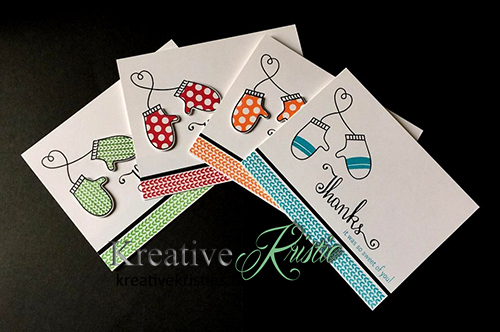 I decided to make a set of Thank you notes using the Holiday Mittens stamp set and coordinating die along with the Still Smiling stamp set. I used the 4 different color ink pads that were released by Catherine in the Foundations Box. The different patterns on the mittens are so adorable. Love!!! I even stamped and coordinated the envelopes. Here they are all packaged up in a clear box with a cute mitten tag. I plan to make up another set of these and give them as gifts to my family. 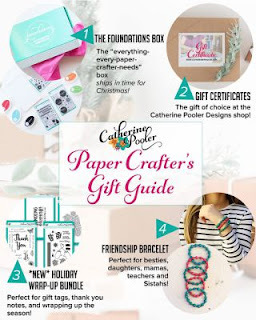 Catherine has also put together some great gift ideas for the paper crafter in your life in her Paper Crafter's Gift Guide. Or, you can also just share the link to the gift collection in her shop with your partner so YOU can get some awesome crafty goodness for the holidays, too! Orders placed by no later than December 19 should arrive by Christmas on U.S. orders, but I would definitely recommend ordering sooner rather than later to ensure it arrives on time!